One of the first things that new cat owners need to do after adopting their new furry best friend is to make sure that they have a safe, clean and usable litter box. Finding the healthiest cat litter can come as a challenge for new pet owners, so we’ve broken down all of the things that you need to know to keep your cat healthy and happy, and your home smelling great! The key to having the healthiest cat litter environment is multi-faceted. The litter itself is only one part of the puzzle. The box must be clean and inviting, and it should be located in an area where your feline friend feels safe enough to go to the bathroom. Additionally, the litter box is the first place where you’ll get key indications that your cat is experiencing some health problems. 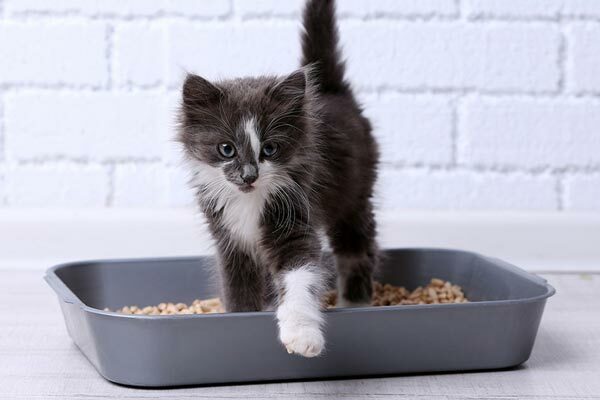 The most important first step is choosing the right litter box. There are plenty of different options out there, but not all of them will be suitable for your cat. Cats can be fairly finicky about their boxes, so make sure that your litter box is large enough to allow your pet to turn around and situate him or herself properly. Cats need some space to move around in the litter box. Additionally, it’s important to consider the location of the litter box. Cats, like people, enjoy their privacy and need a quiet place to do their business. You must also keep the litter box nice and clean. Cats are finicky creatures who have a very highly evolved sense of smell and appreciate clean, fresh, dry litter. When it comes to choosing a great litter box there are plenty of options. We’ve highlighted our three favorites. All of them are available on Amazon simply by clicking the hyperlink. 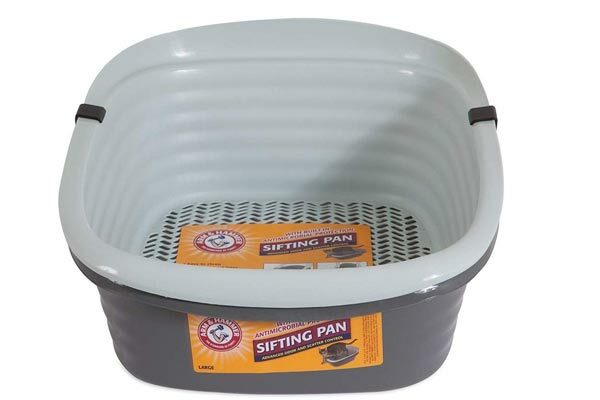 The Pet Mate 42036 Arm & Hammer Large Sifting Litter Pan is a really nice, standard choice for all cat owners. This litter box comes equipped with a tray full of sifting holes that you can lift right up. This tray separates the clumps from the clean litter and is easy to maintain. It’s nice and durable, as well as appropriate for cats of all different sizes. When it comes to accommodating your furry friend, this simple pan is a true winner. This litter box contains pans that easily lift out so you can clean up easily. The box is made out of durable material. It is large enough to accommodate cats of all sizes with no problems. This litter box will get some litter on the ground because it is not covered. This litter box does not work well with all types of litter. 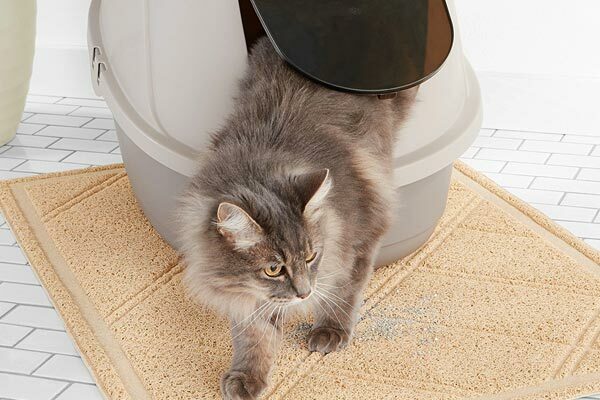 The AmazonBasics Hooded Cat Litter Box is a great box for those who want their cats to experience total privacy while doing their business. We all know that cats value their alone time and are notoriously finicky when it comes to cleanliness, and this box allows them to be alone while they go. 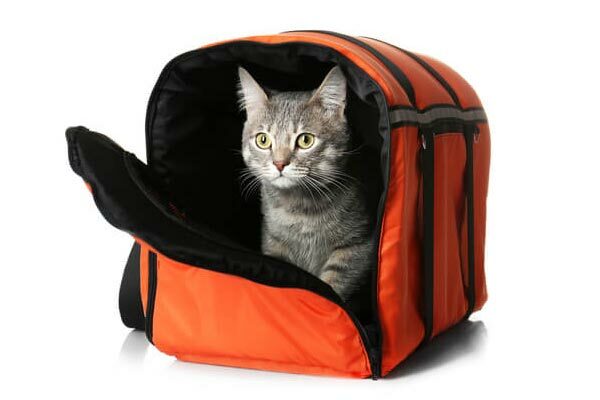 It has a snap-on hood that does the double duty of containing all of the cat litter and giving your feline friend a small amount of privacy while they go to the bathroom. It also has a nice fitted handle on the top, so you can move it from Point A to Point B with no problems at all. This will come in handy if you find that you’ve put the cat box in the wrong spot by mistake. 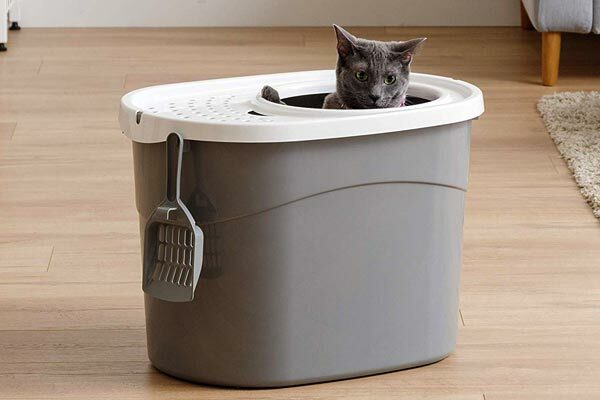 This litter box features a hooded component that lets your cat go to the bathroom in peace. It is made out of durable plastic and won’t bend or break. There is a nice handle on the top that allows you to move the box as needed. This litter box might not be as suitable for larger cats. This box is a little more expensive than other models. The IRIS Top Entry Cat Litter Box fits the bill if you’re looking for the ultimate neat and tidy litter box. This box has an opening at the top where your agile feline friend can hop in and do their business. There will be no smattering of litter around the box when you employ the IRIS Top Entry Cat Litter box in your house. It also guarantees your cat some well-needed privacy, since the box is closed on all sides but the top hole. The top opening on this box keeps litter from gathering around the box base. This litter box is private and secure. Your cat can jump easily in and out of this unique litter box. The top-in jump option might not work for senior cats. Cleaning this box might be a little difficult. Whether you go with one of the options listed above or decide to find an ideal litter box on your own, make sure that it is the appropriate size for your feline friend. There’s a lot of truth to that old saying; “location, location, location”. The location of your cat’s litter box can make or break his or her experience with it. According to PetMD, you need to put the litter box in a place where your cat can get to it easily, but that is out of the way of the normal flow of traffic in the house. Does that sound difficult? It’s fairly easy if you simply think like a cat. All you need to do is set up your litter box where there are very few obstacles and very little foot traffic. Don’t put it near your cat’s food. They do not like to eat around the same place that they go to the bathroom. Instead, find a secure corner or cranny where the box will be out of the way for people, but easily accessible for your cat. Is there a spare room that you rarely use, but has a nice sunny spot by the window that your cat enjoys? Why not tuck the litter box into a corner there? Laundry rooms make ideal locations for litter boxes because they are generally only used once in a while by the family. Make sure that you keep the box clean or else your cat might be tempted to relieve itself on one of your piles of clothes! If possible, don’t make your cat climb stairs to get to the litter box. You want to make the cat’s experience as positive and easy as possible, which can be accomplished by simply making it easy for your cat to get to the box and keeping the box clean. According to The Spruce Pets, if there’s one thing cats hate, it’s dirty litter boxes. Your cat will avoid a nasty litter box and opt for somewhere else to relive itself. That spot could be a pile of laundry, a houseplant or even simply the corner of your carpet. Keeping the litter box clean is not only good for your cat, but it is also good for the people who live in the house. Cat urine is a uniquely unpleasant smell that can permeate just about everywhere. Set up a routine to clean out the litter box and stick with it, no matter what. You and your cat will both be happy that you did! 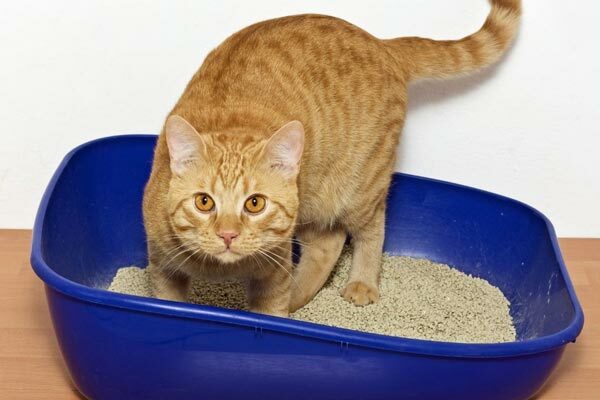 Now that you know how to select the perfect litter box, position it properly in your house and clean it, it’s time to talk about the litter that will go inside. There are several different varieties of cat litter on the market and all of them have their pros and cons. It might be tempting to pick up the cheapest litter on the shelf, but beware! The cheapest litter is often not the best. Many times, less expensive litter will have less clumping power and a more pungent scent than more expensive varieties. Worse, your cat could be adverse to the litter and refuse to use it. This is especially possible if you decide to switch from premium cat litter to a cheaper variety. Remember, cats are creatures of habit! Is Scented Or Non-Scented Cat Litter Better? The scented versus non-scented cat litter debate has been raging since cats and humans lived together, and there’s really no consensus on which one is preferable. It is important to remember that cats have noses that are fourteen times more sensitive than their human counterparts. This means that what smells like a pleasant rose garden to you might be totally offputting to your cat. It also accounts for why cats prefer clean litter boxes. If your cat is sensitive, err on the side of unscented cat litter. If you bring home pungent scented cat litter that your cat hates, he or she will definitely let you know right away! There are plenty of different types of cat litter on the market. It’s really up to you and your cat to decide which one is the most appropriate for your needs. 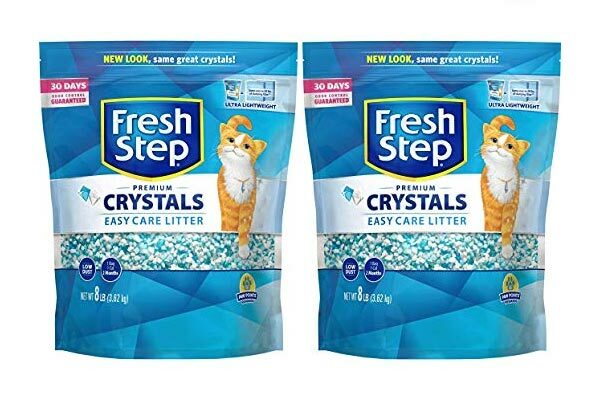 Silica Gel Crystals are a very popular component of cat litter these days and a great choice for if you have multiple feline friends in your life. They are excellent for absorbing cat urine and also lock odor in, so your litter box smells fresh and clean! 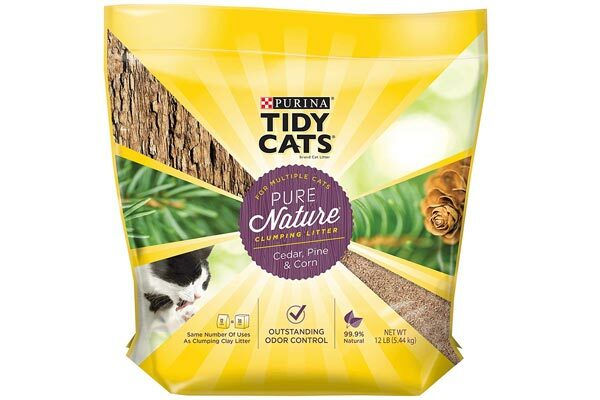 They are generally on the pricier end of the spectrum, but most people who use this brand of cat litter think that the price is worth the ease of usage! The only real downside to using this type of litter is that your cat might find it to be a little irritating to their sensitive paws. If you find your cat avoiding the litter box or gingerly touching the litter instead of pouncing right in, you might have to switch to another type. This formula is extremely absorbent. The fresh scent will keep your home smelling great! This brand is typically more expensive than others. This type of litter is the most common one used. 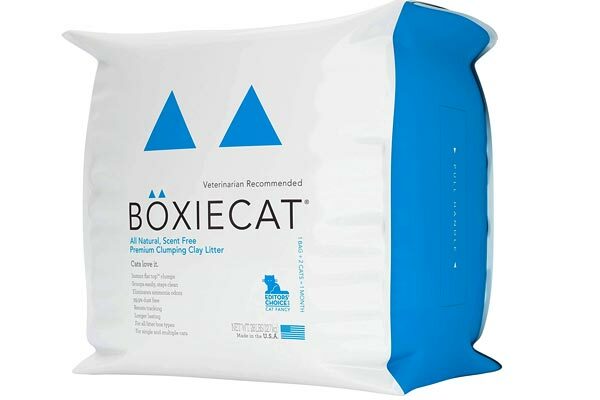 It’s made out of bentonite clay, which absorbs your cat’s leavings and clumps up. If you have the type of litter box that requires scooping, you will probably want to think about using clumping clay litter because it will be much easier to clean. This litter can be quite heavy and leave a big mess if it’s spilled. Additionally, there can sometimes be dusty residue from this type of litter. This formula clumps easily for quick clean-ups. It’s odor-free and keeps your home smelling nice. Clumping litter can get very dusty. This type of litter is generally heavier than other litters. Pine litter smells fresh to humans but can sometimes be a little overpowering for our feline friends. For this reason, many cat owners avoid pine. If your cat is okay with the strong scent of pine, this type of litter might just be for you. It is made of pieces of discarded lumber and generally comes in pellet form. It clumps up quite nicely and the strong scent of pine generally masks the odor of cat urine. This litter has a nice fresh scent. Pine litter clumps for easy clean-up. Many cats are adverse to the scent of pine litter. The litter box can be the first line of defense for your cat’s health. There are plenty of problems that start off as bathroom issues, such as urinary tract problems. According to WebMD, if you see blood in the urine it could be a sign of a dangerous urinary tract infection, and you need to take your cat to a veterinarian as soon as possible. Keep an eye out for other signs such as licking the genital region excessively, straining while using the litter box, or urinating in strange places. All of these signs could signal that your feline friend is in need of medical attention. There are times when your cat simply will not use the litter box. 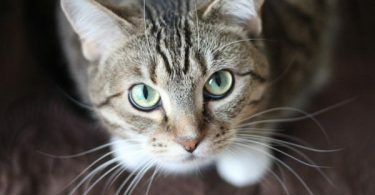 As frustrating as it might be, it is important to get to the root cause of why your feline friend is avoiding their litter box. There are plenty of reasons why cats will not go to the bathroom where they are supposed to. We’ve highlighted this point before, but it really does bear repeating. A dirty litter box is not one that your cat will want to use. They will locate a potted plant, a pile of clothes, or any other place that is more sanitary. Make sure that you clean out your cat’s litter box regularly. If you find that the cat is urinating in a different area, try cleaning out the box more and see if that does the trick. Remember, just because you think it’s clean doesn’t mean that your sensitive-nosed furry friend agrees! Cats do not like change. They find alterations in their routines to be quite distressing and might vent those frustrations by avoiding their litter box. 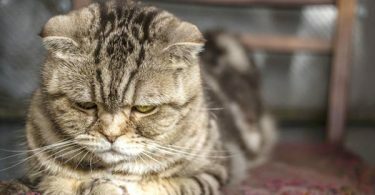 There can be many reasons why your cat is full of anxiety. Perhaps a new pet was recently introduced to the household. Maybe your work schedule changed and they feel abandoned or angry. Some people have found that their cats avoid the litter box after they’ve painted a room or had new flooring installed. Try to think about how your cat is feeling and show a little compassion and patience if you find that they are operating from a place of anxiety. The litter box might have started off in an ideal location, but if something happens that shifts the dynamic, do not expect your cat to be pleased. A quiet laundry room might have been the ideal place for your cat to do his or her business, but if you move your gym equipment down there your cat will take notice and not feel as secure. As we’ve said a few times in this article, cats are creatures of habit and they love their routine and peace. Assess the location of the litter box and see if you need to move it to somewhere a little bit quieter. Sometimes, litter box avoidance doesn’t have to do with a cat’s security at all, but with his or her need to assert themselves. Marking territory is a common way for animals to make their presence known, and it manifests itself in a smelly home! According to The Humane Society, you need to first figure out why your cat is marking his or her territory, and address the root problem accordingly. Only then will you be able to coax your cat to go to the bathroom in the proper place. Finally, let’s talk about what makes your cat a happy cat! Keep your cat happy and healthy outside the litter box with these tips and tricks. Cats love to be snuggled up and warm. Make sure that your feline friend has plenty of blankets to burrow into and a spot that is all their own. Cats are natural little hunters, so keep their minds and instincts sharp by devoting some of your time to playing with them. A simple string toy can keep your feline friend happy for a full half an hour. 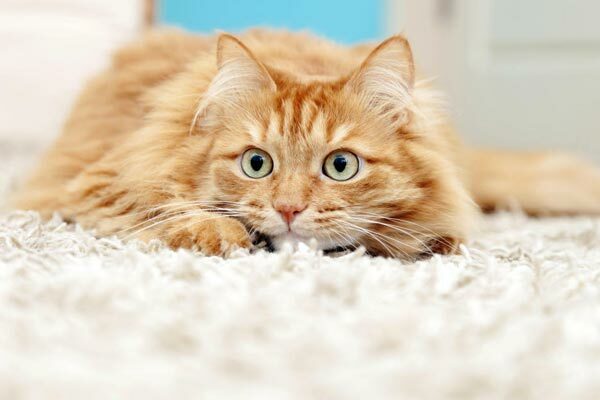 It might be tempting to think that cats just naturally groom themselves, but many long-haired cats suffer from mats and tangles that can become downright painful if they are not treated. Make sure that you pay extra attention to your cat’s fur, especially if he or she is a long-haired cat. Check out this YouTube video to learn veterinarian secrets for how best to remove cat mats in a safe and effective way that protects both you and your feline friend. There are plenty of options for cat litter on the market and all of them have their plusses and negatives. Ultimately, it is up to you and your cat to determine which one works best. There’s nothing wrong with a little trial and error along the way, as long as you are paying attention to your cat’s needs and signals. Remember, when you discover the very best one, you’ll be rewarded with a happy, healthy and loving feline friend for life!